Are you crazy about the volatility of the stock market? Really, the stock market is an awesome platform to make tons of money using the power of the internet from the comfort of your home. I am passionate about the stock market and have read numerous best selling stock market books and learned a lot. Warren Buffett is the most successful investor of the millennium and spends 80% of his day just reading. Apart from stock market books, I also suggest you buy Kindle Paperwhite Device from Amazon. It’s a great tool for reading e-books & pdf. You can save thousands of money if you have a Kindle device. E-books are much cheaper and the reading interface is Awesome. Based on my reading and experience, below are the 5 Best Selling Stock Market Books Which You Can’t Afford To Miss. Prasenjit Paul, The Author of “How to Avoid Loss and Earn Consistently in the Stock Market” lets you aware of how to make money from stock markets? There are plenty of best selling stock market books available but still, most of the retail and small investors suffer a loss in the stock market. You can get enormous insight and lots of free trading tips which are available on Television and the Internet. Unfortunately, small investors are unable to earn a significant return consistently from trading. Because of that, people still consider the stock market as a place for gambling. 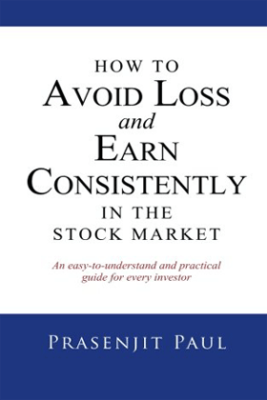 The Author in his book has trying to teach you how to minimize the loss in the stock market by picking winning stocks. When you can buy and sell stocks and construct your portfolio of stocks by understanding valuation. Think And Grow Rich help you by using actionable techniques and you will be doing great at anything, not just between rich and wealthy. At the time of the author’s death, more than 20 million copies had already been sold and still counting. Once the book is in your hand, you will get all the answer for most dramatic questions which bothered the author, Napoleon Hill. You will get to know what actually made some people so successful. Why is it that some people manage to remain healthy, happy and financially independent, all at the same time? He interviewed some of the wealthiest and most successful people in the world and formulated thousands of answers. He concluded into concise principles which when used by many and claim that it helps them to achieve success. 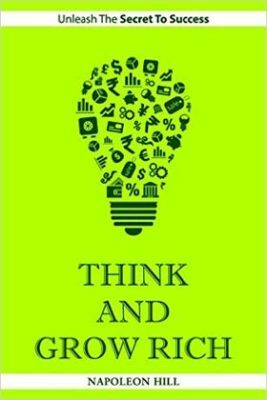 Think and Grow Rich teaches you concepts and also methods to become successful. Napoleon Hill has authored numerous books among which Think and Grow Rich has been his most well-known works. Rich Dad Poor Dad was written by Robert Kiyosaki and Sharon Lechter and is based on Kiyosaki’s young days spent in Hawaii. 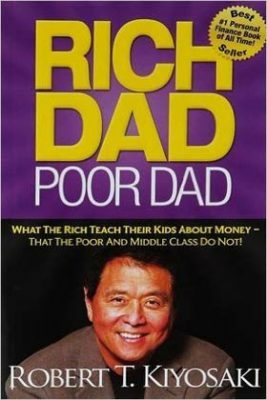 The book Rich Dad Poor Dad highlights different attitudes towards money, work, and life. It has changed the way people think about money. The book talks about Kiyosaki’s background, his business ventures, and investments and variation between possessions and liabilities. It focuses on the way on how rich people teach their kids as compared to poor parents. The book tells you about doing work for learning and not for earning and teaches you the importance of investing and building a business. It also showcases you on how you must be prepared to take action and risk. You will learn the importance of intelligence and financial literacy. Even you will come to know how financial and entrepreneurial skills play a vital role in the success. It helps you to use power and prosper with the help of investment skills. Rich Dad Poor Dad was also selected commercially and termed as New York-Times bestseller, the book has been a boon for management and financial aspirants. Benjamin Graham, a professional investor, and economist having pioneered numerous cutting edge concepts. Using his concepts, many of his followers are at the top of the investments world. 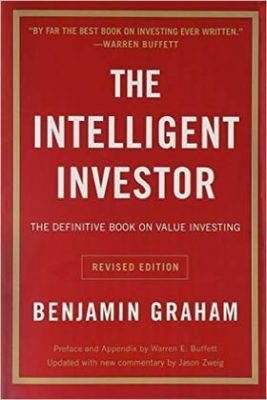 The Intelligent Investor is a widely acclaimed book by Benjamin Graham on value investing. This book aims at preventing potential investors like you from losing money in the stock market. It also teaches you to work on strategies to achieve long-term investment goals. People are following the teachings and strategies of Graham for growth and development. In the book, Graham has explained various principles and techniques for investing safely and successfully without taking bigger risks. You can learn all the concepts and principles which are explained with the help of examples for better clarity and understanding. 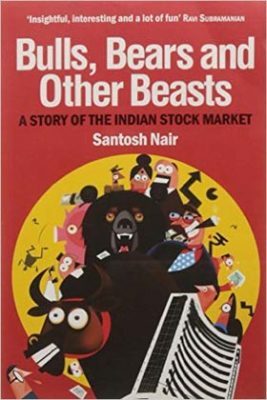 Bulls, Bears and Other Beasts is one of the best selling stock market books written by Santosh Nair for all stock market lovers. It takes you on a humdrum and exciting stock market journey through Dalal Street. In this book, you will know from tech booms and tax evasion to banks. You will get info on money laundering, scams and stock market crashes to fixers and investors. It tells you what to watch out for while investing in stock market and also looks at policies that the government implements and its effects on an economy. Comment below, if you want to know more about the best selling stock market books. Don’t forget to share this post with your friends on Facebook, and Twitter.